With a family-run arable farm on site and its own sunken lake providing fresh water, the Arbikie distillery touts itself as the first hand-crafted farm-to-bottle operation seen in Scotland in centuries. Not just whisky either, but white and brown spirits: the farm will grow barley for the whisky, wheat for gin and three types of potato for its own Scottish vodka. Sited in a spot overlooking Lunan Bay midway between Montrose and Arbroath, the qualities of the salty North Sea air are also claimed to be partly responsible for the flavouring of the products as they're aged, as well as the fact that all are produced in copper pot stills more familiar to the production of whisky. When the company formally launches towards the end of 2014 it will initially just be with the ultra-premium Arbikie vodka, which is produced using a blend of Maris Piper, King Edward and Cultra potatoes to produce what is being described as a slightly sweet, very creamy and exceptionally smooth spirit. Production of whisky and gin will follow in 2015. 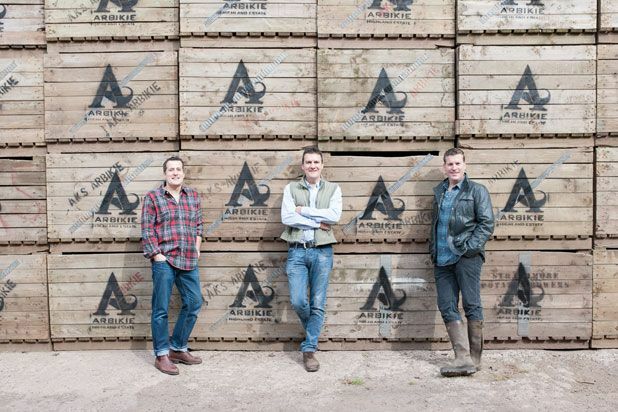 Among the four main managers of Arbikie are the three Stirling brothers, whose family owns the estate: former drinks company boss Iain, brand manager and sometime restaurateur David and accountant John (MD Audrey Ramsay completes the team). Theyre also joined by master distiller Kirsty Black, a graduate in biological sciences and the brewing course at Edinburghs Heriot Watt University, who worked after graduation at the city's Caledonian Brewery before being involved in the creation of Pickering's Gin, which has already become a successful brand in its short life.